Thank you for your interest in the role of Director of Finance. This is a key role ensuring the financial resources of the diocese are managed effectively and efficiently to support the Diocesan vision of Living God’s Love. Applicants should be qualified accountants with the skills and experience to manage the finances of a company limited by guarantee and a charity with assets of over £160m, and a turnover of c. £16m. 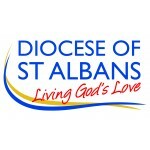 You will need to be sympathetic to the vision and values of the Church of England in St Albans Diocese, with the inter-personal skills to work with a wide range of people including clergy, volunteers, professional advisers and trustees. The Finance Team is responsible to the Diocesan Board of Finance (DBF) for the management of the finances of the Diocese, in accordance with Diocesan policy and also within the compliance obligations set by external regulatory bodies such as HMRC, Companies House and the Charity Commission. Managing the finances of St Albans Diocesan Property Company, a wholly owned subsidiary company of the DBF. Oversight and control of the diocesan finances ensuring that policies and practices reflect best practice and that financial operations are resilient and secure. Compliance with the requirements of The Companies Act, the Charities Acts and relevant ecclesiastical legislation. Preparation and completion of the Board's statutory accounts and supporting papers and all necessary liaison with the Auditors. Preparation of the Diocesan Budget, including assisting diocesan committees and their officers in the preparation of their budget submissions, and advising the Board of Finance during the budget-making process. Budgetary control through a computerised accounting system and the provision of management information to budget holders on a regular basis. Assisting in the formulation of financial strategy by analysing information and preparing appropriate papers for the Board of Finance and its General Committee, and for other committees, as required. The financial aspects of all diocesan and parochial Trusts, the investment of capital, payment of annual income and annual notification to managing trustees of the funds held by the Board on their behalf. Advising the chairmen and officers of other boards and committees on financial matters affecting their spheres of work, especially the Diocesan Board of Education and the Director of Education on financial matters relating to Church schools and the Board for Mission and Ministry on project funding. Contributing to and developing policies relating to financial matters such as the Board’s investment policy and parish shares policy. Implementation of the Board's Treasury functions, including electronic banking. g. liaison with deaneries and parishes on all matters concerning the calculation and collection of parish shares for the Diocesan Common Fund, some by direct debit. Attendance each year at meetings of Diocesan Synod, Boards and other committees, ad-hoc working parties and other diocesan events as required by the Diocesan Secretary. With trustees and colleagues, visiting deaneries and parishes to explain diocesan finances and policies and engage with matters of concern at local level. Engaging with national and regional networks within the Church and charity sectors as appropriate. Active involvement in the Senior Management Team, comprising: the Pastoral and Advisory Secretary, the Estates Secretary and the Director of Finance, led by the Diocesan Secretary. Such other duties as may be required by the Diocesan Secretary. Experience in a senior finance role including experience of charity accounting and governance and the role of charity trustees. The Diocese of St Albans consists of the counties of Hertfordshire and Bedfordshire and part of the London Borough of Barnet. The population is approximately 1.8 million, and the total electoral roll number is approximately 32,000. The Bishop of St Albans has overall responsibility for the Diocese. He is assisted by two suffragan bishops, the Bishop of Bedford and the Bishop of Hertford, who in turn are assisted by the Archdeacons of St Albans, Bedford and Hertford. There are twenty deaneries and the Diocese has 338 parishes, of which about one third are rural, 210 benefices, 415 churches, 299 stipendiary clergy, 50 non-stipendiary clergy, 226 clergy with Permission to Officiate and 145 Lay Readers. There are 136 Church Schools and Academies in the Diocese. Using Mission Action Planning we are developing confident and outward looking mission and evangelism, leading to spiritual and numerical growth.